The Ministry of Corporate Affairs set up a committee in July 2018 to review the regulatory framework on offences and penalties under the Companies Act, 2013 (act), and to make recommendations on relaxing the framework. The primary intention of the act was to promote a better environment for corporate compliance. The committee submitted its report in August 2018 and some of the key recommendations were: 1) redirecting 16 out of 81 compoundable offences to an in-house adjudication framework, where the penalty would be levied by an adjudicating officer; 2) instituting a transparent and technology-driven in-house adjudication mechanism, and 3) unclogging the National Company Law Tribunal (NCLT) by expanding the jurisdiction of the Regional Director and shifting certain powers to the central government. In light of the recommendations made by the committee, the Companies (Amendment) Second Ordinance, 2019 (new ordinance), was promulgated on 21 February 2019 replacing a 12 January 2019 ordinance (which had replaced a 2 November 2018 ordinance). The new ordinance has been issued because the Companies (Amendment) Bill, 2019, could not be passed by the parliament in its budget session. A significant amendment in the new ordinance was shifting certain offences from a “fine” regime to a “penalty” regime. 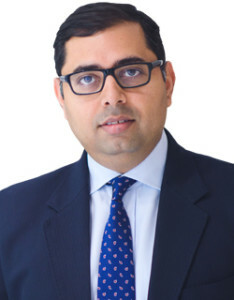 There are a number of offences under the act that are of a procedural, technical or routine nature such as failure or delay in filing a notice for alteration of share capital, failure or delay in filing annual returns, failure or delay in filing financial statements and accepting directorship beyond the specified limit, for which a fine, imprisonment or both have been prescribed. These offences are a burden on the courts that are already required to deal with a number of other cases under various laws. Shifting such offences to an in-house adjudication mechanism would help unburden the courts and the adjudicating authority can deal with them expeditiously. Further, this in-house adjudication mechanism is expected to be more efficient and economically viable for all parties involved. Other significant amendments are aimed at unclogging the NCLT. With the enactment of the ordinance, the central government can dispose applications regarding change of the financial year of a company and approve conversions of public companies into private companies, and the jurisdiction of the Regional Director has been enhanced to include compounding of offences. 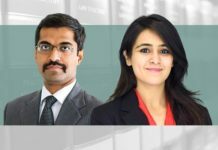 The NCLT has now been relieved of having to deal with with such cases and would be able to focus more on substantive matters such as compromises and arrangements, oppression and mismanagement, and insolvency. a person will now be disqualified from appointment as director if he holds directorships in more than 20 companies. The recommendations made by the committee and the amendments may help increase compliance and improve corporate governance standards in the country in the long run and allow for speedy disposal of offences. 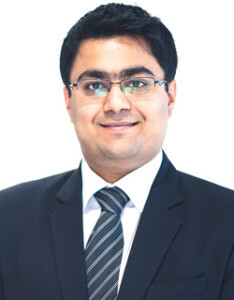 Rudra Kumar Pandey is a partner and Vishal Nijhawan is a senior associate at Shardul Amarchand Mangaldas & Co.